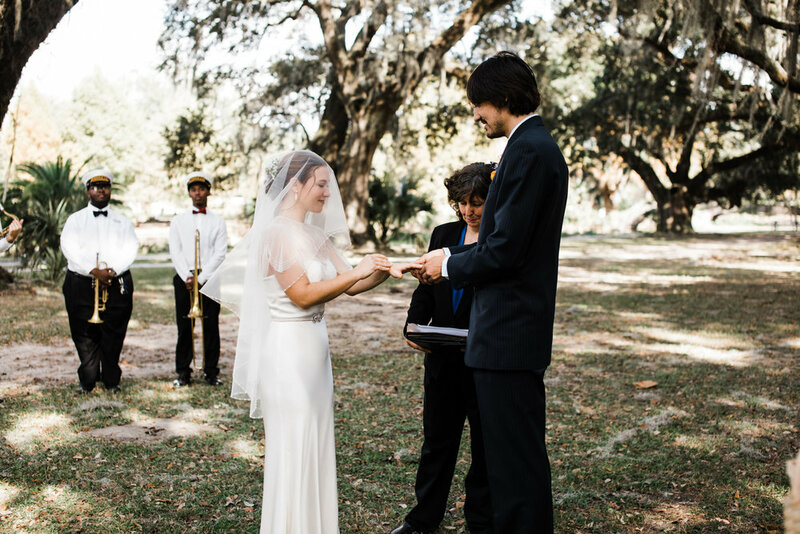 Leah and Jared fell into my world by chance but I'm convinced it was Fate. 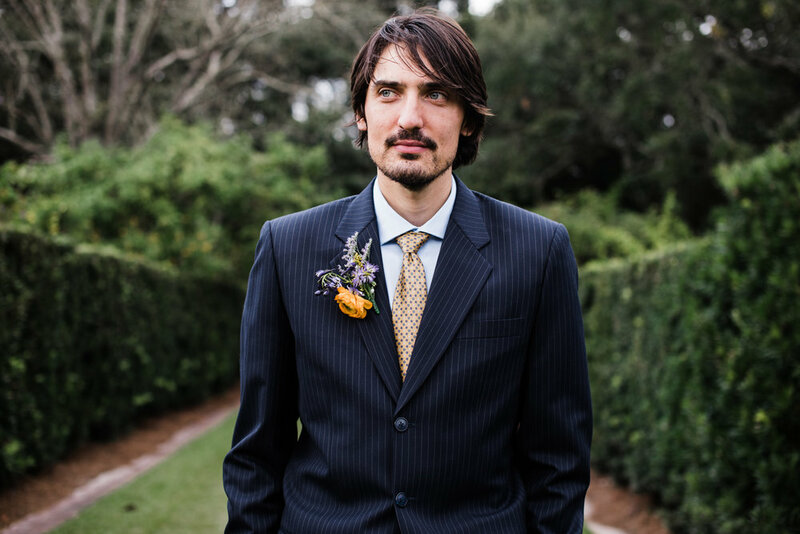 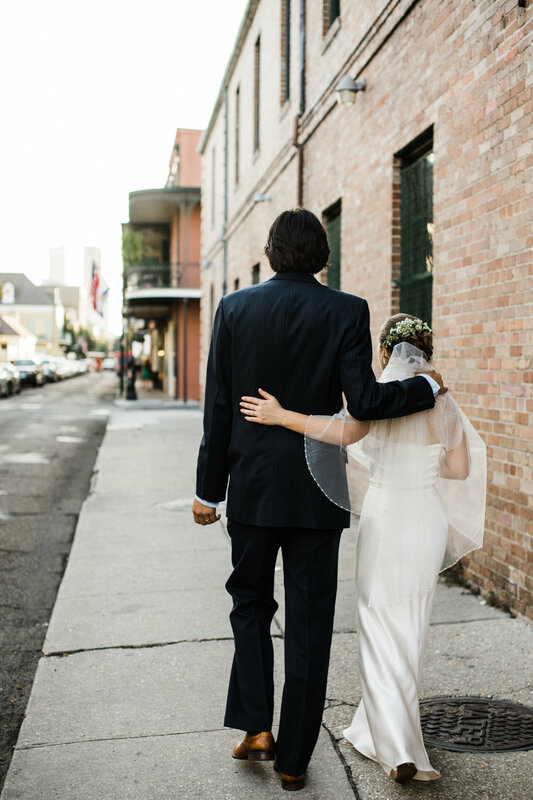 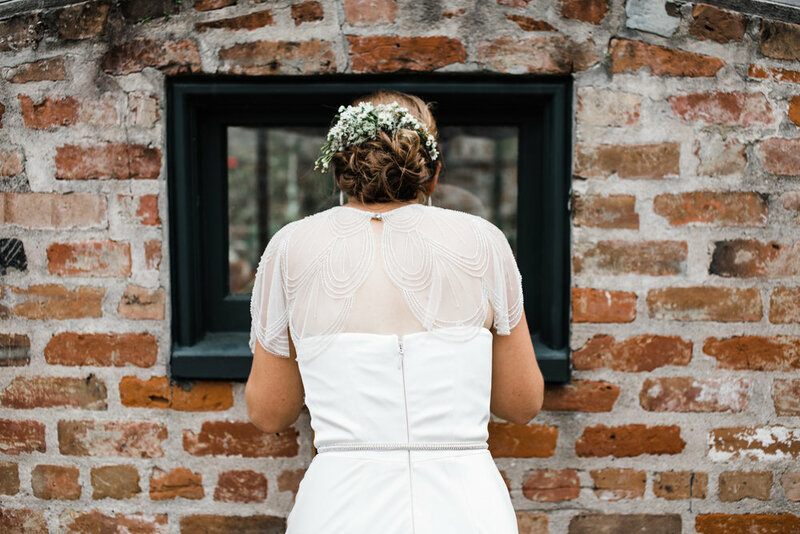 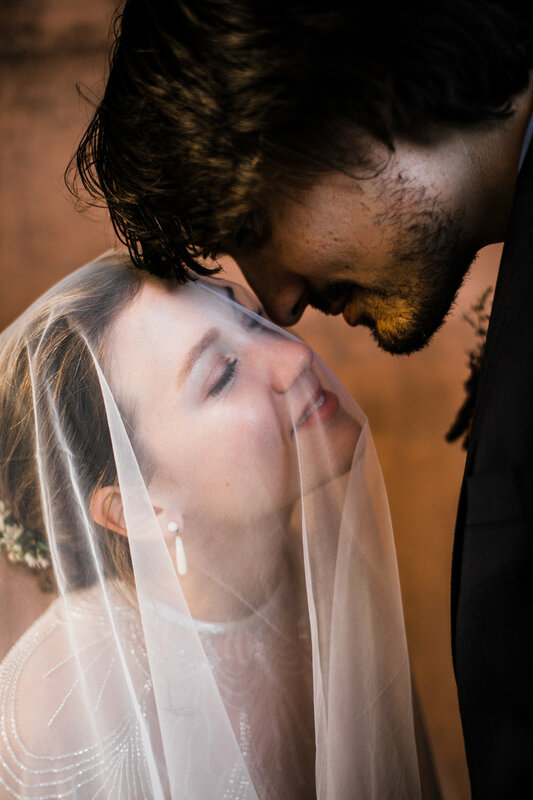 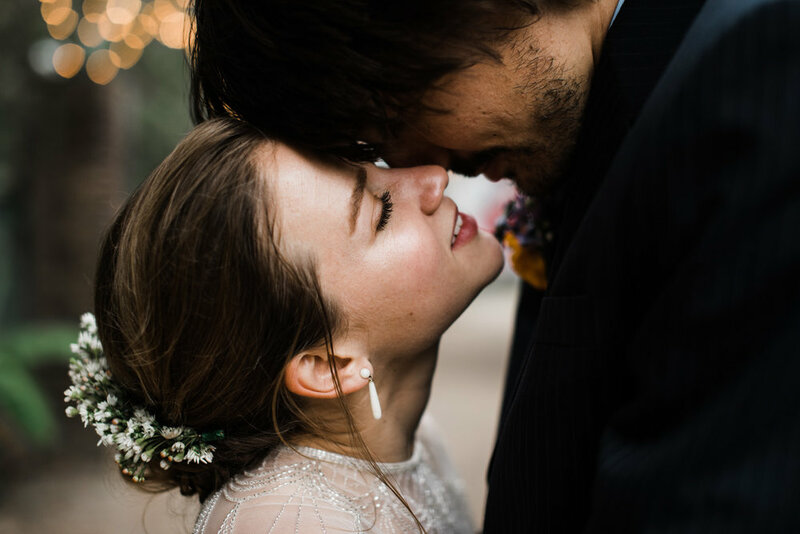 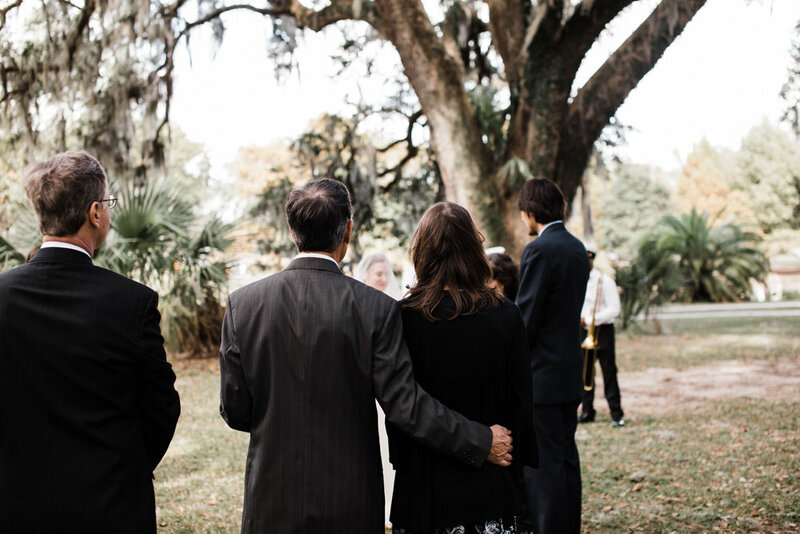 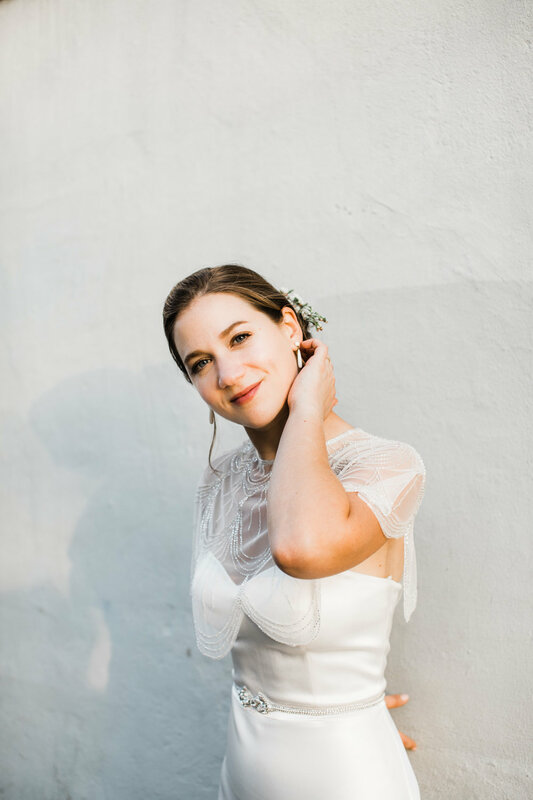 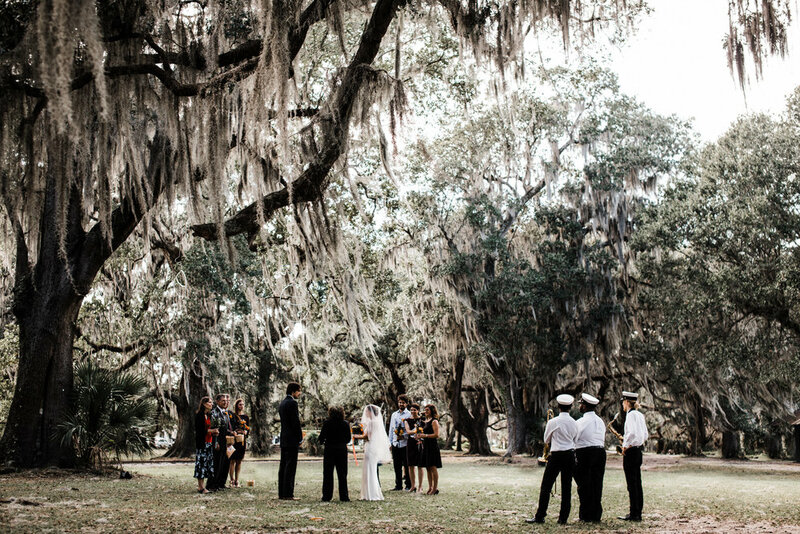 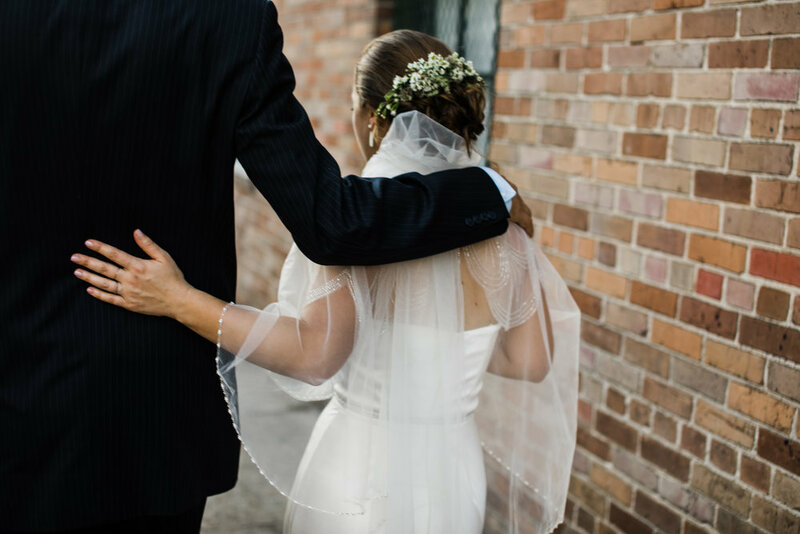 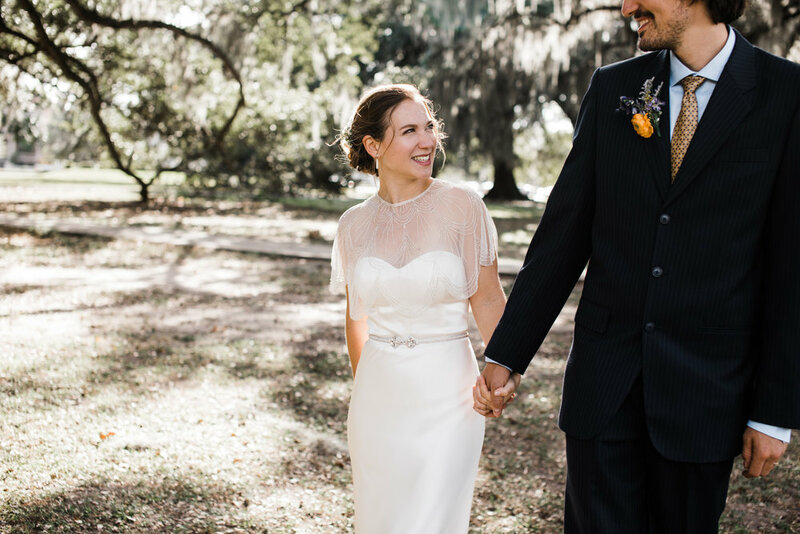 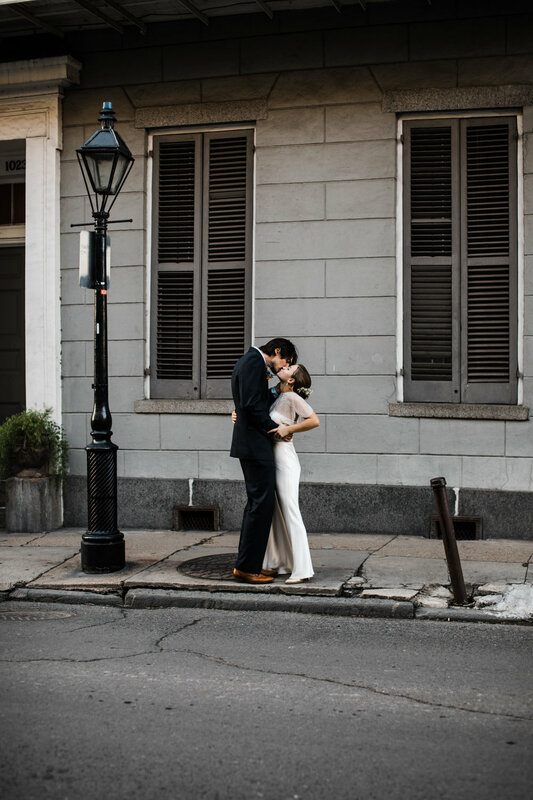 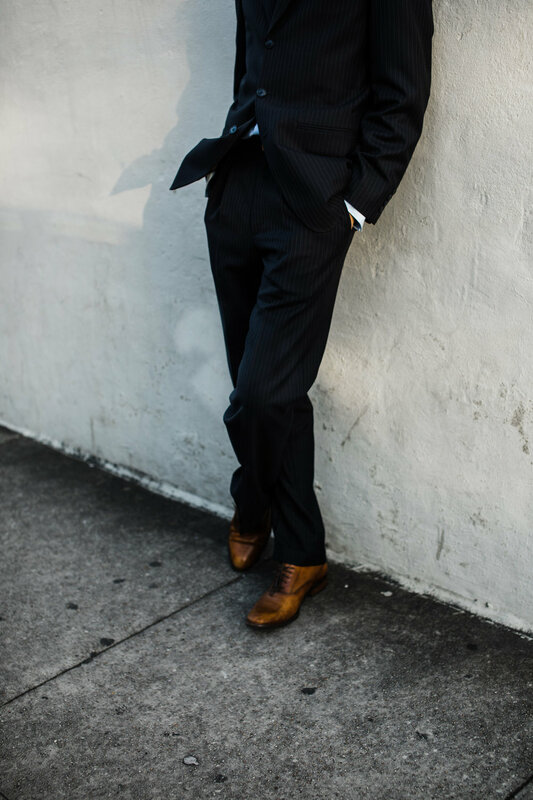 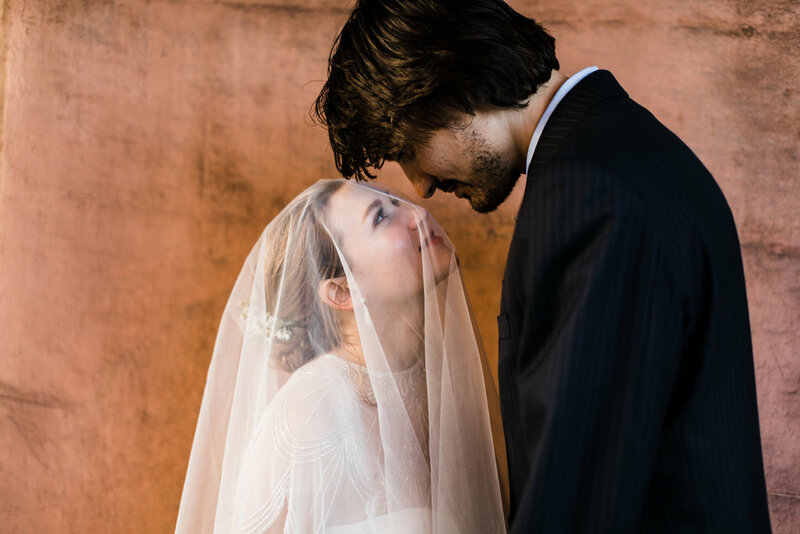 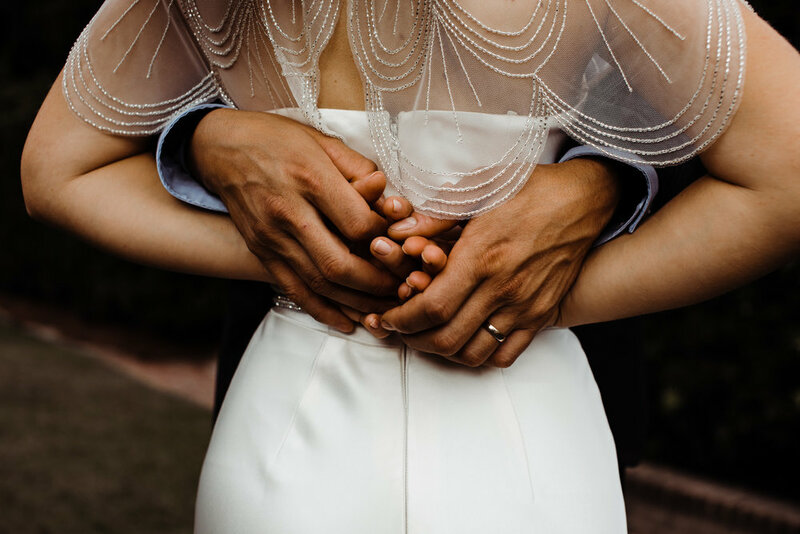 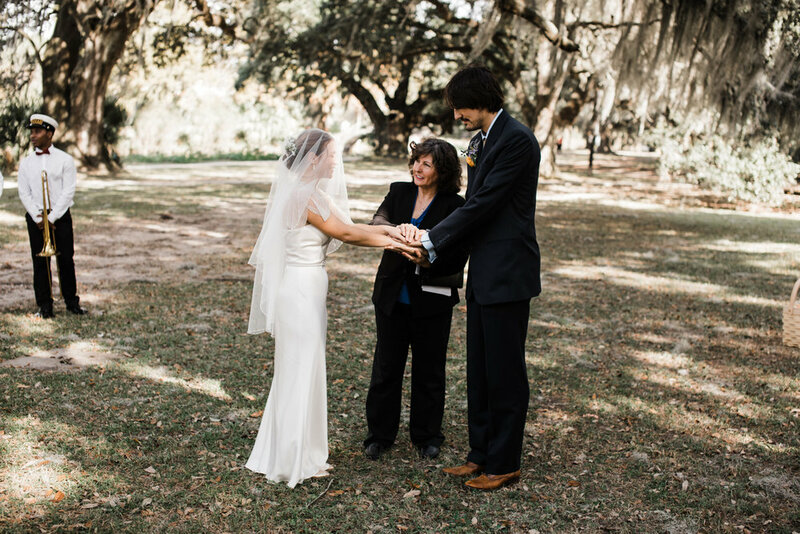 When I received Leah's inquiry in my inbox and read her and Jared's story as well as their vision for their New Orleans elopement, I was smitten. 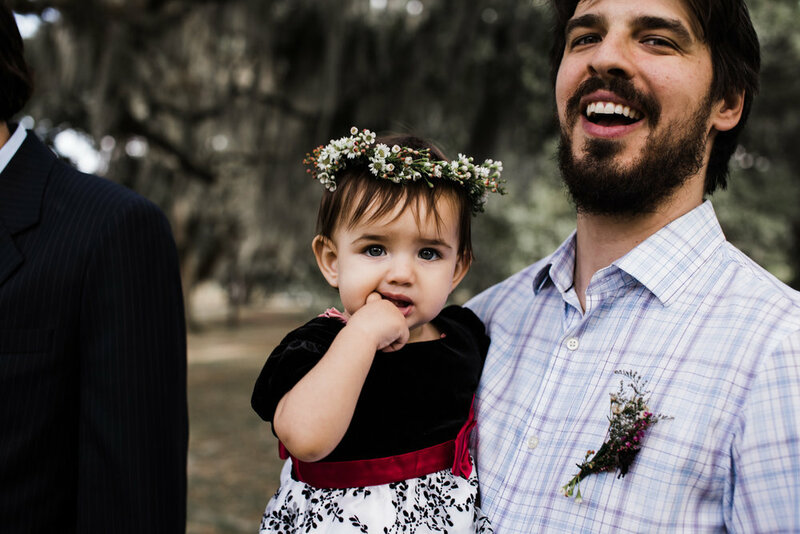 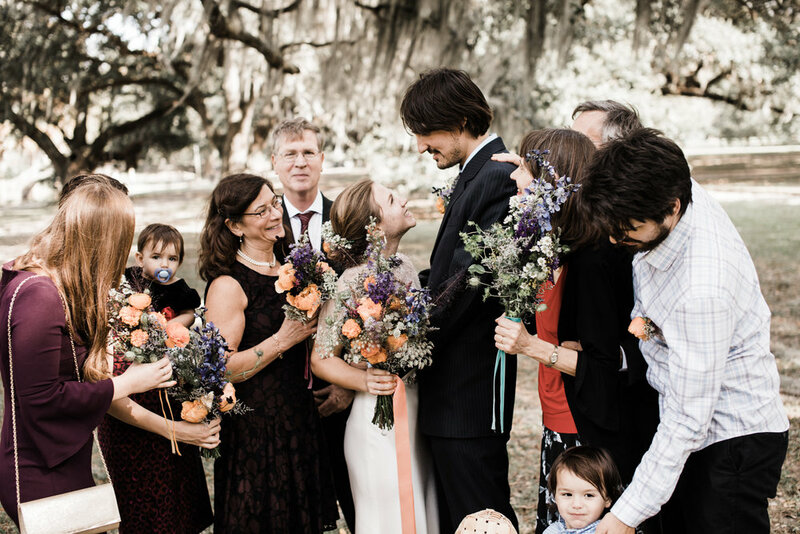 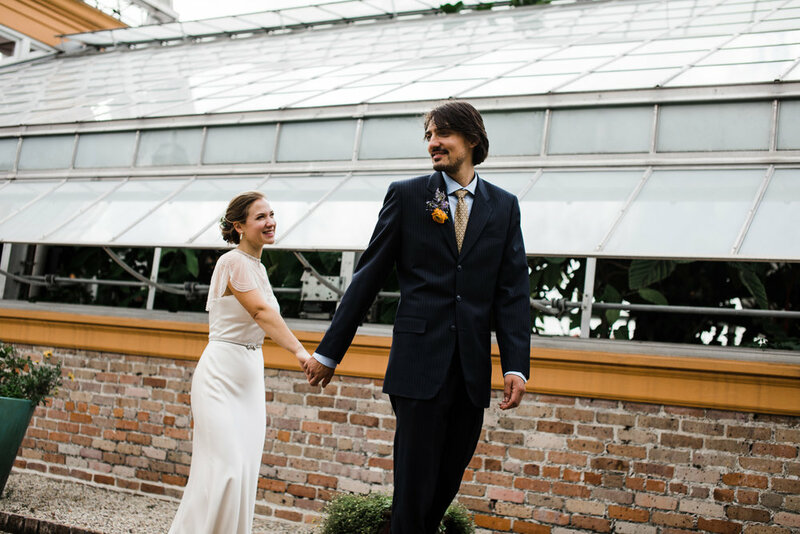 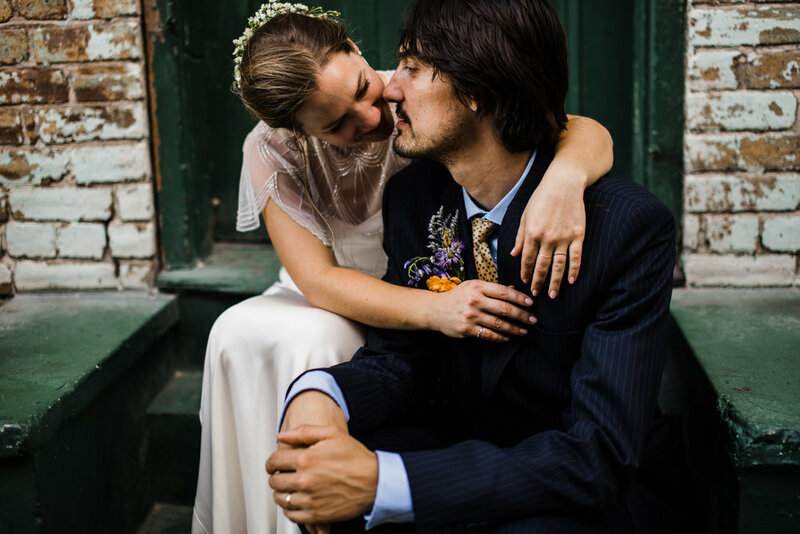 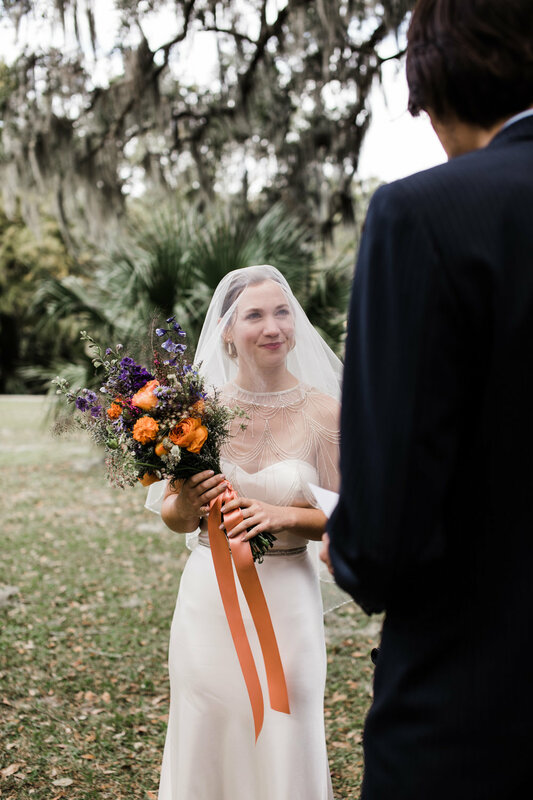 Both her and Jared are horticulturalists living in Philadelphia and wanted their day to be full of lush greenery, live oaks dripping with moss, and historic New Orleans streets. 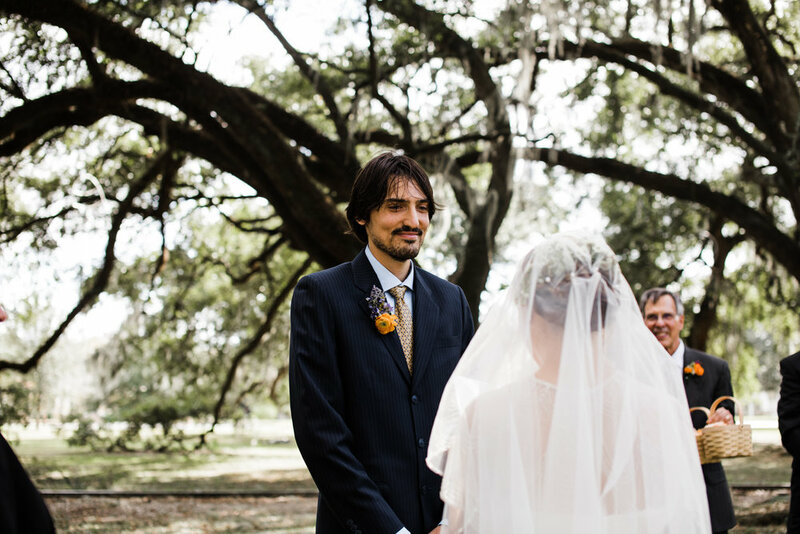 The photographer they had initially hired cancelled last minute so I knew I had to TURN THIS OUT. 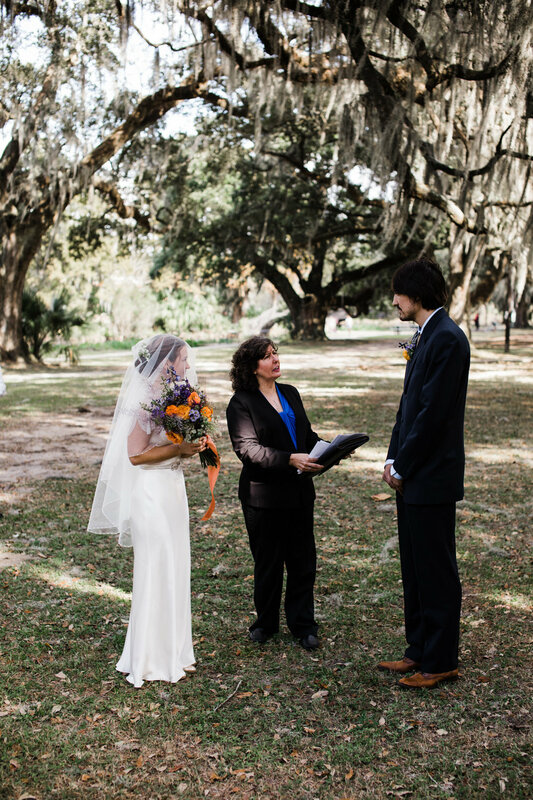 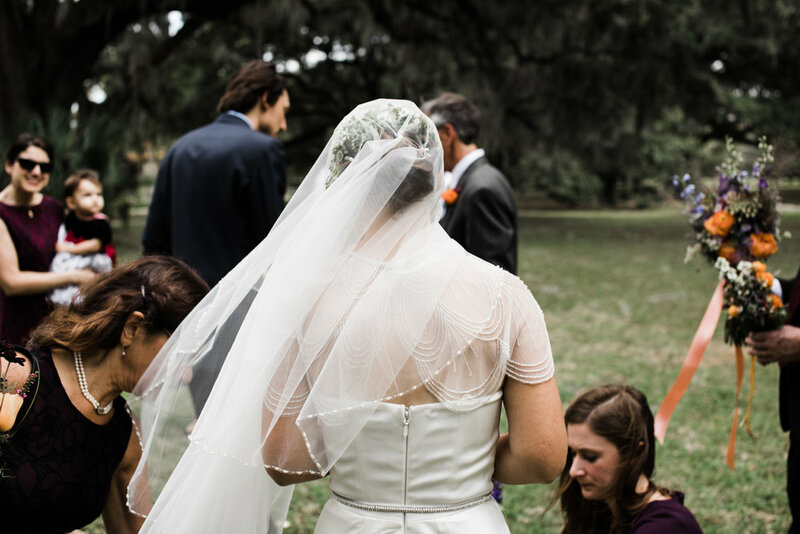 At noon on a mild and windy Saturday, we met at City Park in the Historic Oak Grove for their intimate ceremony. 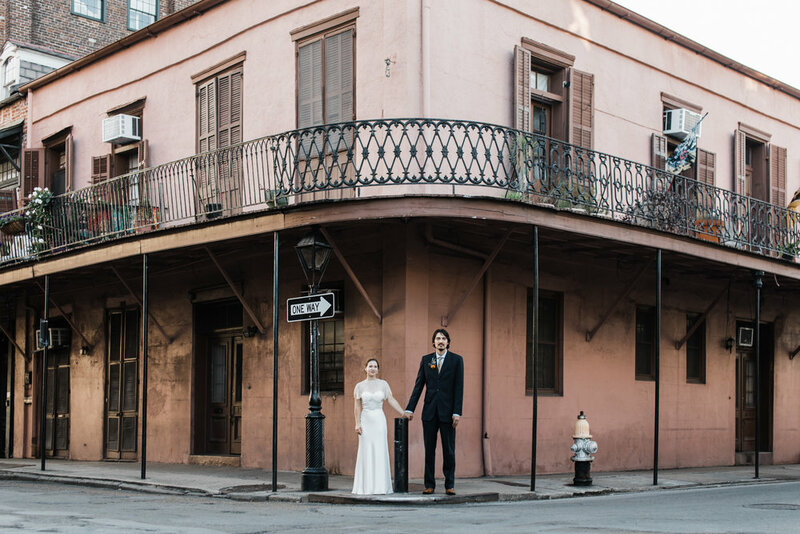 Surrounded by their closest family members and a jazz trio, Leah and Jared recited their vows and became husband and wife to cheers and pats on the back. 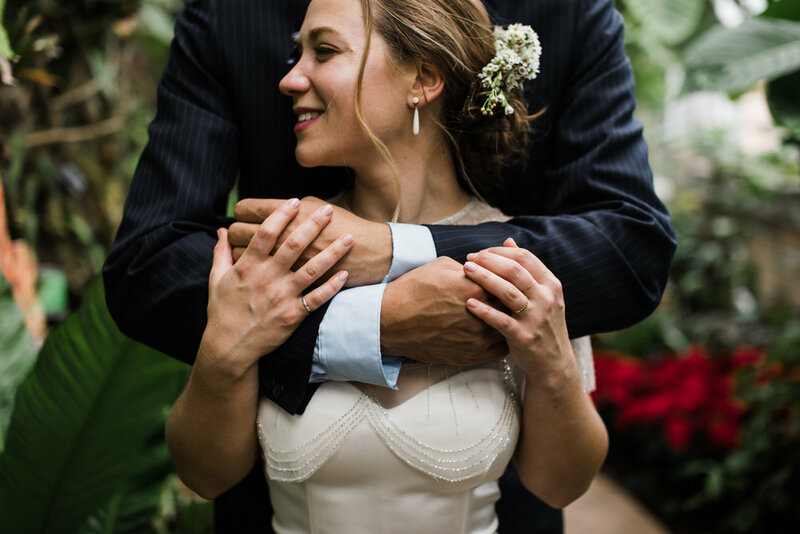 The joy and tenderness was palpable and it was the perfect way to start a little adventure for their portraits. 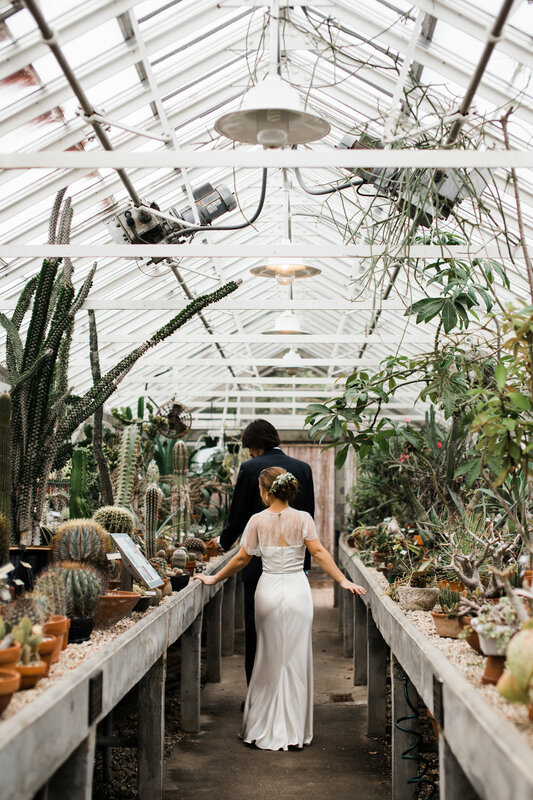 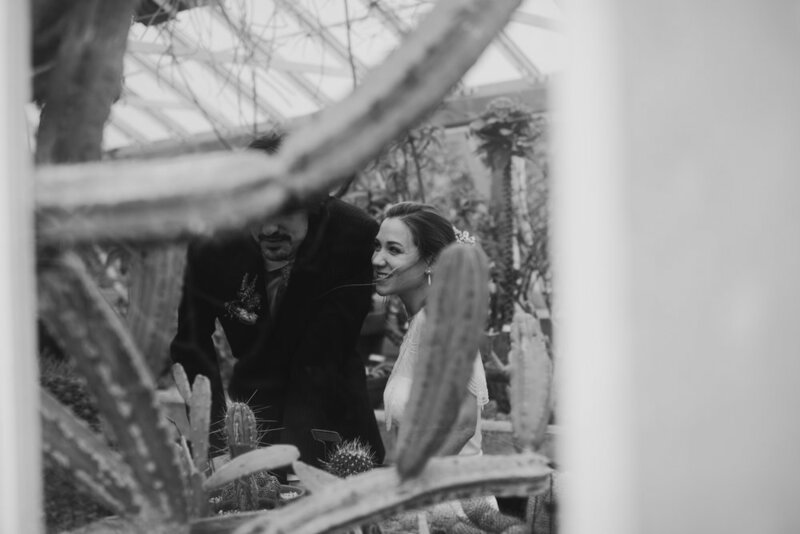 We started by walking over to the Botanical Gardens where we roamed the rose garden and conservatory, sat on the manicured lawns and explored the cactus house(Leah and Jared's favorite of the day). 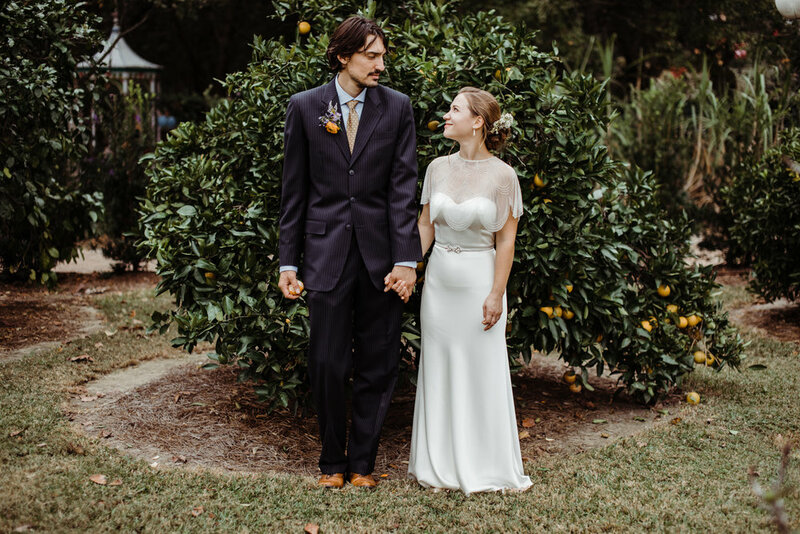 Instead of cutting the cake, they fed each other satsumas ripe off the bush and cozied up together under twinkling lights while telling me their favorite herbs and flowers. 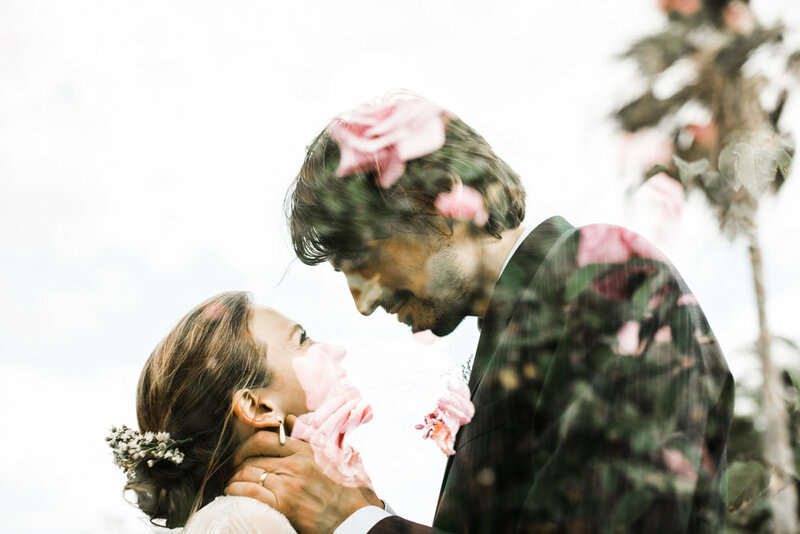 It suited them perfectly and well, what else can you ask for on your wedding day? 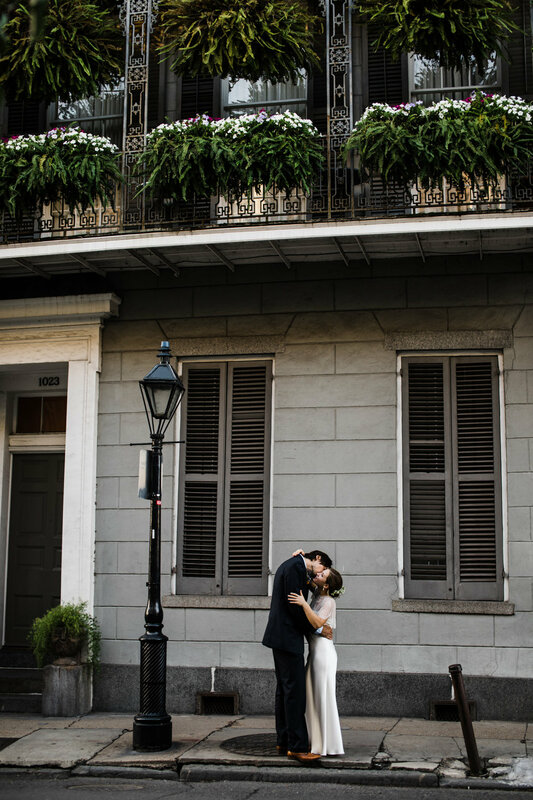 After thoroughly enjoying the Botanical Gardens we met up again in the French Quarter for more exploration. 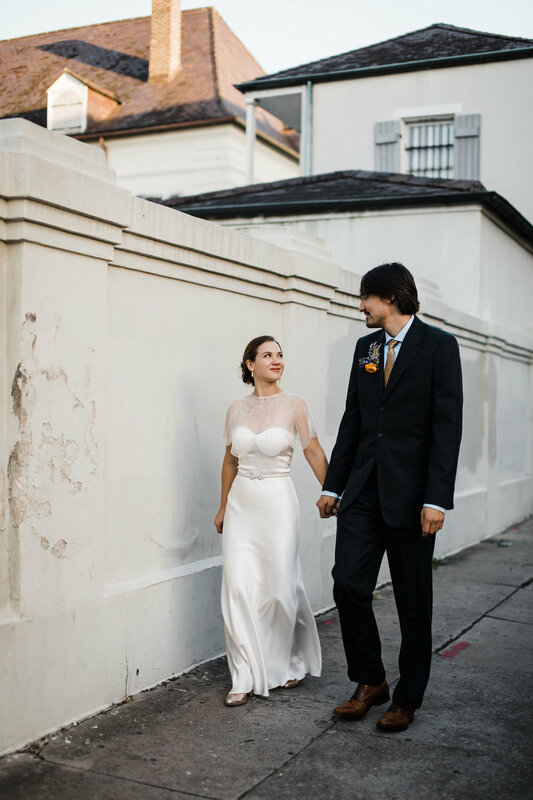 Passersby stopped to offer their congratulations and the fading afternoon light was sublime, literally making Leah and Jared glow. 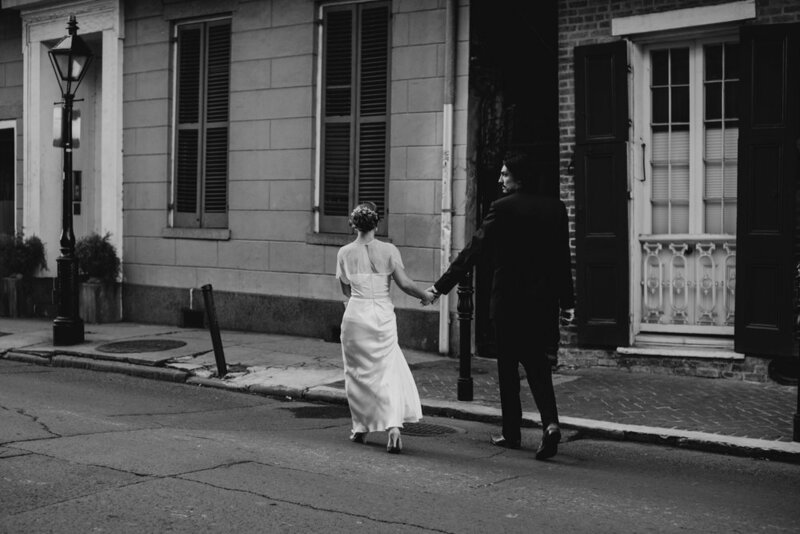 We wandered the streets a bit, enjoyed the evening and when it was time to part ways it turns out by chance we were standing right in front of the restaurant where they were meeting their family to celebrate. 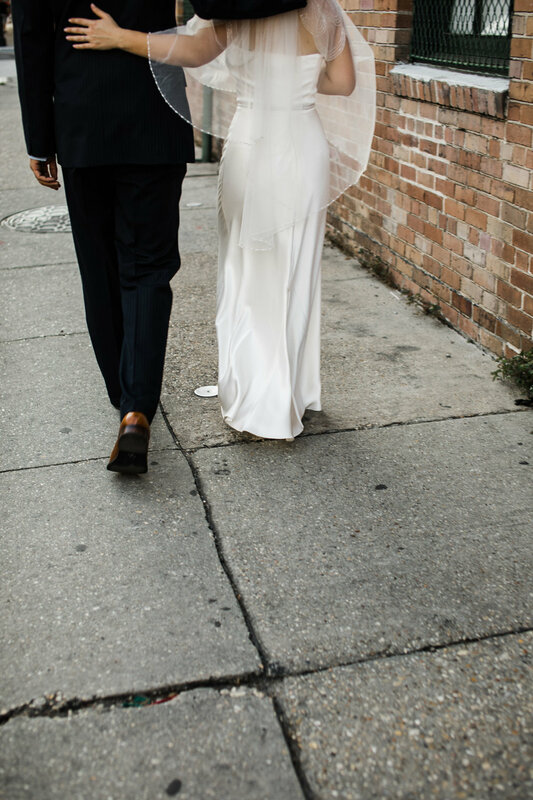 Fate. 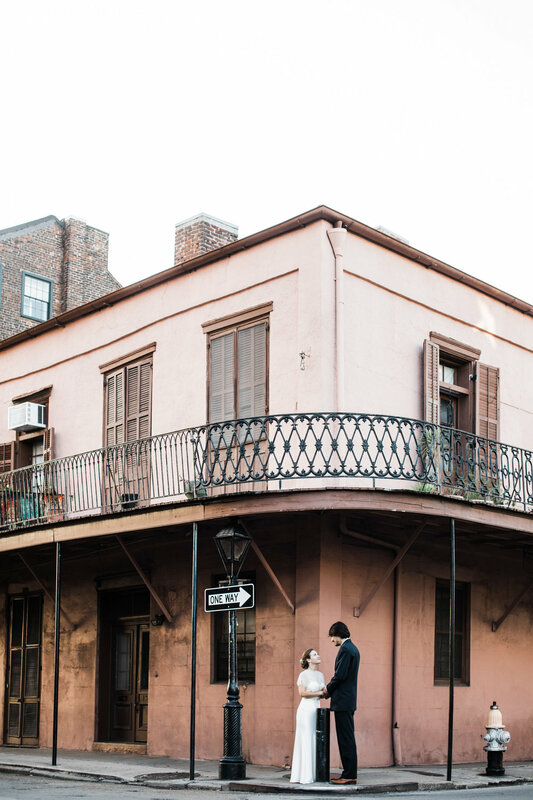 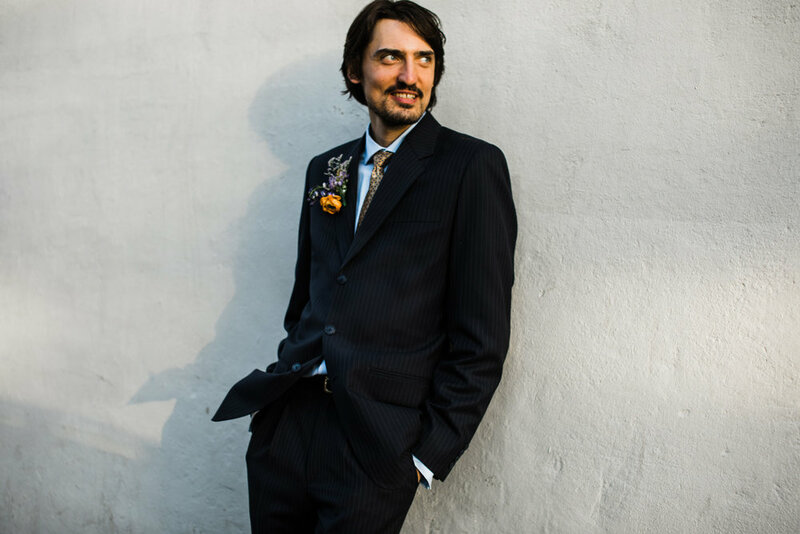 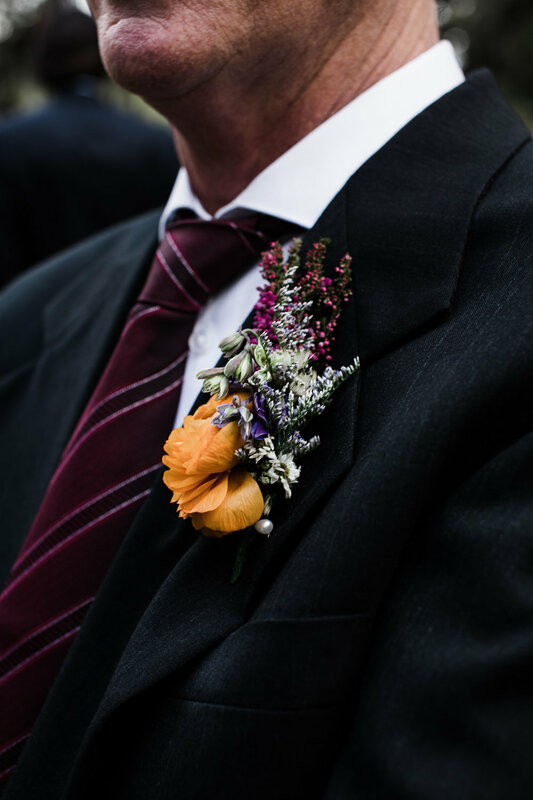 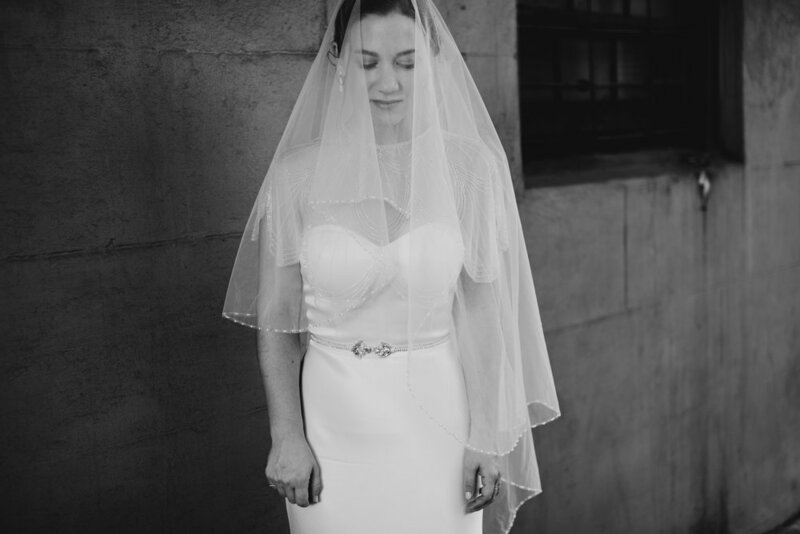 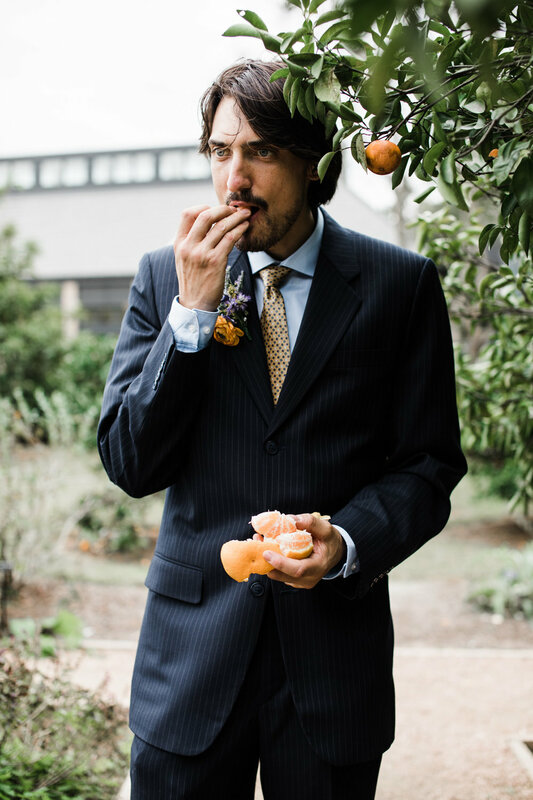 For more elopement inspiration, click HERE!